Here we selected and reviewed the best military watches of 2019. These durable and robust watches are perfect for those who need a reliable timepiece which will withstand harsh conditions. This includes soldiers, law enforcement officers, hunters, mountaineers, hikers, backpackers and other tactical enthusiasts. Unlike earlier, we now also included GPS watches in this selection as the technology has significantly progressed. GPS watches now offer much better durability, functionality and battery life than they did a couple of years ago. The main qualities we were looking for when selecting the products are durability and tactical/military features. 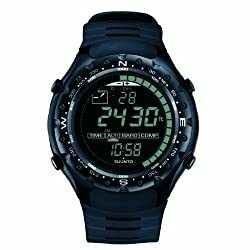 This review includes five different military watches – two GPS watches and three watches without GPS. If none of the listed watches suits you, have a look at our review of the best hiking watches which includes mainly GPS watches for outdoor sports. 1. Buying a Military Watch – What is important? When it comes to military watches, durability is crucial. 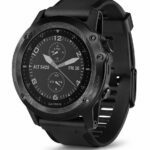 In this review we only listed watches that offer superb abrasion and shock resistance as they use highly durable materials. Furthermore, they are all waterproof. Some of the watches are equipped with lenses made of Sapphire glass which offers significantly better abrasion resistance than the more commonly used mineral glass. A military watch should have a robust design and be in a dark discrete color that won’t draw too much attention – a crucial characteristic for watches used by military personnel, hunters and other tactical outdoorsmen. 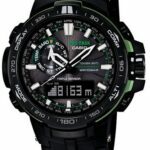 All watches in this review feature rugged design and come in dark colors such as black, dark grey and camouflage green. The selected watches without GPS are all able to run for at least one year without replacing the battery (some of them are equipped with solar rechargeable batteries). GPS watches have a much shorter battery life but on the other hand they also offer more features. All the GPS watches included in this review are equipped with powerful rechargeable lithium-ion batteries. In addition to the standard features such as time, day and date, a military watch should also have more advanced features, like compass, altimeter and barometer. Compass and altimeter are useful for navigation while the barometer provides you with the atmospheric pressure data which can be used to forecast the weather. Additionally, some military watches are equipped with storm alarm, sunrise/sunset times, moon calendar and other advanced tactical/military features such as automatic shot detection. 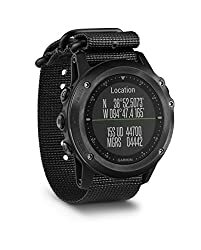 Watches that support GPS allow you to instantly get the coordinates of your current location in various formats (including the MGRS format which is normally used in armed forces). Furthermore, they can also be used for navigation along pre-planned routes as well as to waypoints. Weight 2.65 oz. 3.10 oz. (silicone strap) 3.28 oz. 2.26 oz. 2.57 oz. 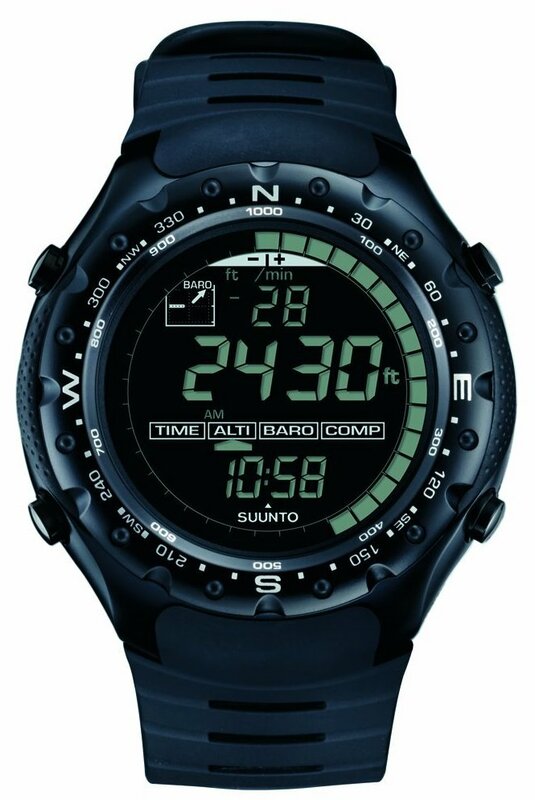 The Suunto Traverse Alpha watch offers numerous tactical/military features as well as superb durability. The watch uses a case made of durable composite materials and a stainless-steel bezel. The strap is made of water-repellent textile for maximum comfort and durability. 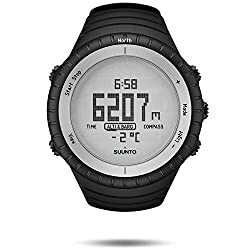 The Suunto Traverse Alpha watch is also equipped with built-in GPS (it supports GLONASS as well) and thus it offers several advanced features that come in handy for tactical activities and hunting. The watch can, for example, instantly show coordinates of your current location – it also supports MGRS (Military Grid Reference System) coordinates which are used by the NATO armed forces. Furthermore, it allows you to import routes in various formats (GPX, KML etc.) as well as set up waypoints. When routes and waypoints are set, the watch aides you with navigation by showing your current location in relation to the route or a waypoint. This indeed comes in handy for hunting, patrolling and similar activities. Another useful feature is the automatic shot detection; the watch detects when a shot is fired and immediately saves the coordinates as a waypoint. The GPS also makes it possible for you to track your activities and you can access in-depth information (distance, duration, speed, map) about each activity in the Suunto Movescount app (available as a web and a mobile app). However, to access the details of the activity you need to pair the watch with your Smartphone for synchronization. If you pair the Suunto Traverse Alpha with your Smartphone, you can change the watch’s settings directly from the smartphone and the watch can also show your phone’s notifications (incoming calls, messages etc.). Additional features that are useful for tactical enthusiasts and hunters are compass, altimeter, barometer (for predicting the weather), thermometer, moon phase calendar, moonrise/moonset alarm, sunrise/sunset alarm and a backlight compatible with night vision goggles. The watch also shows real-time GPS information such as current speed, distance etc. 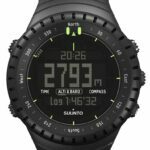 The Suunto Traverse Alpha is indeed one of the best military watches as it offers more than enough features to satisfy every tactical enthusiast. In August 2017 Suunto released the Traverse Alpha Woodland and Traverse Alpha Concrete models. They have the same features as other models but come with camouflage-patterned straps. 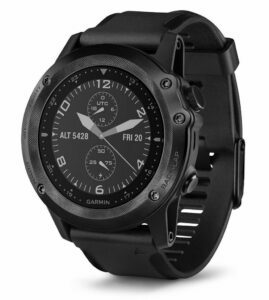 The Garmin Tactix Bravo watch is another sophisticated GPS watch which is perfect for tactical enthusiasts. The watch has an incredibly durable case which is further protected with a bezel made of stainless steel. The lens is made of Sapphire glass for maximum durability and abrasion resistance. The watch comes in two versions – one has a nylon (textile) strap while the other one is equipped with a silicone strap. The Garmin Tactix Bravo watch is equipped with built-in GPS (it also supports GLONASS) and offers several tactical/military features. It shows the coordinates of your current location in MGRS format and supports navigation by providing you with directions to waypoints or along pre-planned routes. The watch also supports tactical mode which entails that it shows your coordinates, map and other information that might come in handy while patrolling or hunting. Another advanced tactical feature is the jumpmaster (parachuting) mode whereby the watch navigates you to the target landing zone after the jump. Via the GPS the watch can also track your activities; in-depth information about each activity can be accessed in the Garmin Connect app (available as a web or a mobile app) after the watch has been synchronized with your Smartphone (Bluetooth connection). The Garmin Tactix Bravo watch, in addition to different tactical modes, also supports modes like running, swimming etc. When it is paired with your Smartphone it also shows the phone’s notifications. Additionally, the watch is equipped with compass, altimeter, barometer, thermometer, hunt/fish calendar and shows sun and moon information. 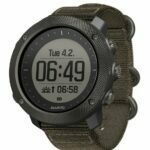 The Garmin Tactix Bravo watch offers great functionality and durability and thus ranks high in this selection of the best military watches. In 2017 Garmin released a few software updates to the watch in order to additionally improve its performance. 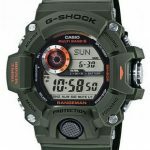 The Casio Rangeman GW9400-3 has a tough and rugged design and thus it is perfect for outdoorsmen who need a reliable and durable timepiece. The watch is also waterproof and as it uses highly durable materials it provides great shock and abrasion resistance. The buttons offer superb shock resistance and their cylindrical shape allows you to easily press them even when wearing gloves or having fingers numb of cold. The watch is equipped with the triple sensor technology – altimeter/barometer, compass and thermometer. While the altimeter and compass can help you with navigation, the barometer shows the atmospheric pressure tendency graph and can thus be used to predict the weather. The thermometer can be used to measure the air or water temperature but keep in mind that it cannot measure the air temperature 100% accurately if you wear the watch since the thermometer will be influenced by your body heat. The Casio Rangeman GW9400-3 receives time calibration radio signals up to 6 times per day. Therefore, the time displayed on the watch is always accurate. The watch is equipped with a solar rechargeable battery that lasts for 8 months without any exposure to light. 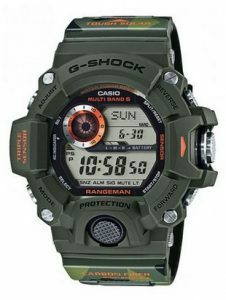 The Casio Rangeman GW9400-3 also has additional features such as countdown timer, stopwatch, and a backlight with afterglow. All in all, the Casio Rangeman GW9400-3 is an incredible military watch which offers numerous handy features. The Suunto Core Military watch is very popular among soldiers, law enforcement officers, hunters and other tactical enthusiasts as it offers great durability and functionality. Furthermore, the watch is very easy to use. The design of the watch is something between elegant and tactical, making the watch also appropriate for everyday use. The battery life in time mode is approximately 12 months, but it can decrease if you are using the compass and other features frequently. The battery is user-replaceable. 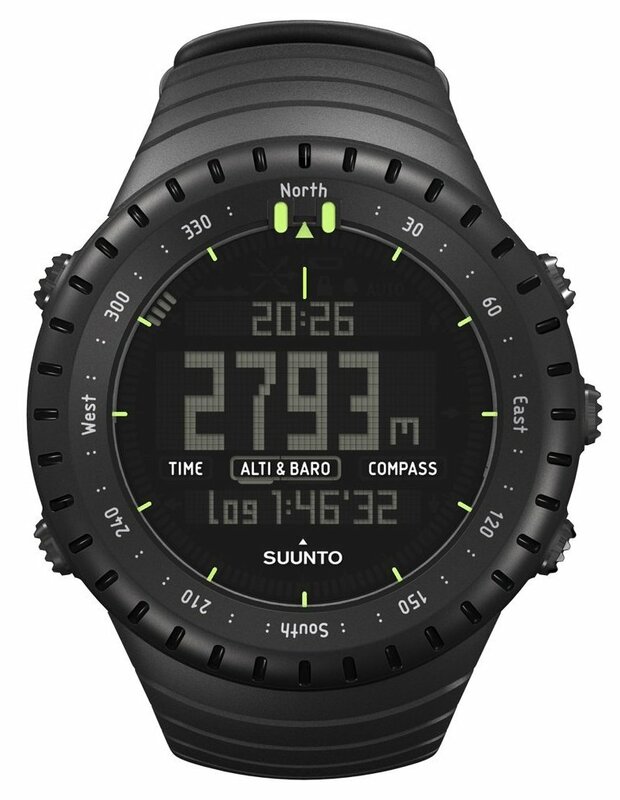 The Suunto Core offers compass, barometer, thermometer and altimeter. More advanced useful features include a depth meter and storm alarm. The depth meter is meant for snorkeling and can track your dive down to 10 meters below the water surface. The storm alarm is based on the barometer measurements and if switched on, it triggers an alarm when it detects rapid pressure changes (which usually lead to storms). 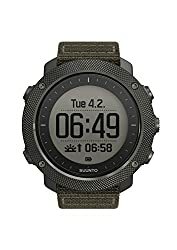 The Suunto Core Military is a great tactical watch but in comparison to Casio Rangeman GW9400-3 it has a less rugged construction and a less effective power supply. What we like about the Suunto Core Military is its design, great display and user-friendly interface. The Casio PRW6000Y-1A Protrek is best for those who wish for a timepiece with an analog display but also want the advanced features of a digital display, as the watch has both. The design is something between elegant, military and sporty. The core of the watch is packed into a durable metal case that can be secured to your wrist by a strap made of resin with carbon inserts. The advanced features such as bearing, altitude and temperature are displayed on the digital display. The watch has an auto hand shift feature that momentarily moves the hands away from the digital display, thus allowing you to easily read the advanced measurements during the time of the day when the hands would be covering the digital display. 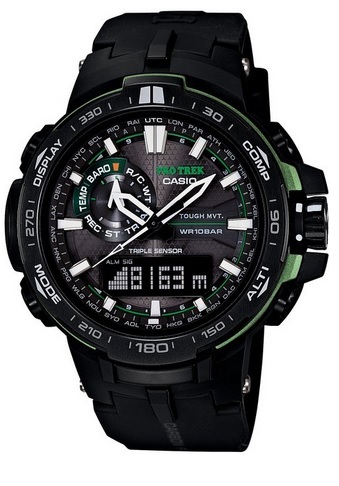 The Casio PRW6000Y-1A Protrek is equipped with compass, altimeter, thermometer and barometer. It also has a storm alarm which detects sudden changes in pressure and warns you about storms on the rise. Power is provided by a solar rechargeable battery which can power the watch for 6 months without any exposure to light. The time is synchronized by receiving radio signals up to 6 times per day and is therefore always shown accurately. 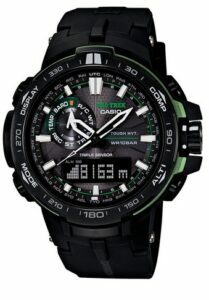 The Casio PRW6000Y-1A Protrek is an extremely effective and durable watch. Its only downside is its price. The below listed products were once included in our best five selection but eventually moved into this section. The Suunto X-Lander Military watch has an exemplary military design, extreme robustness and effective functions. The core of the watch is protected by a tough aluminum case while the strap is made of durable rubber. The watch is equipped with altimeter, thermometer, barometer and compass. The 7 segments display offers a good overview and has an electro-luminescent backlight for low visibility conditions. Unfortunately, the backlight is not configurable and can only be triggered by the backlight button. Some other watches, like Suunto Core Military, offer a configurable backlight that can be triggered by backlight button or any other button. In comparison to the Suunto Core Military, the Suunto X-Lander supports chronometer and laps features but also lacks some very useful features such as dual time, button lock, altitude graph, sunrise/sunset times, storm alarm and automatic alti/baro switch. 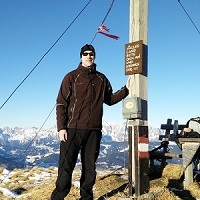 Other features are quite similar to those of the Suunto Core Military. 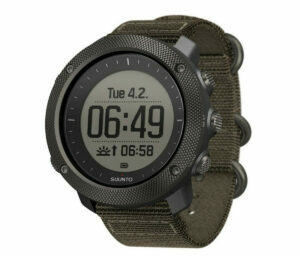 The Suunto X-Lander is in general a great military watch. What we liked the most about it is the extremely robust case which is basically indestructible. Why is cotton bad for hiking?